Travel Services are currently not available to residents in CA, FL, HI, IA and WA. If you have 8 or more people, select “Special Occasion / Group Travel” option below to fill out a brief questionnaire. For help with planning a cruise, please see the Cruises page. Need just one item? Select one of the options for just $34.99! Is there anything else you would like us to know that will help us plan the perfect adventure for you? Are you willing to fly out of or into nearby airports? Would you like us to make reservations for you? Please fill out the following questionnaire and we will contact you with a custom pricing with 48 hours. Are your travel dates Flexible ? For more information on how the Travel Services work and for Frequently Asked Questions, visit the How It Works page. It was a pleasure working with Spirited Navigators team in planning our Switzerland vacation. They went above and beyond and created a very detailed itinerary for our vacation. We loved all their recommendations for restaurants, places to visit and things to do in different parts of the country. Every little detail was spot on including transportation options, train schedules, hotel suggestions. We were very thrilled with the amount of knowledge they have of Switzerland, I doubt even a local resident would have been able to able to give us that much detail about this country. If you are planning a vacation to Switzerland or any other country let Kapil and Saadia plan your trip for you, chances are they have been there and they will make your trip memorable and turn your dream and vision into reality with no work except packing your bags. Thank you Spirited Navigators for planning our Arizona trip to perfection. They provided us with extremely detailed information for an active vacation with kids at a reasonable pace (tall order). 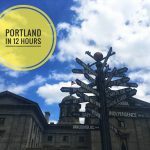 The itinerary included information such as must visit cities within Arizona, mileages/timing it would take for us to travel from one city to another, airport tips, car rental tips, restaurant recommendations and much more. In addition, list of activities with websites, phone numbers and SN tips (my favorite) to book ahead was priceless. There is no way we would be able to get this level of information by searching online. They are the experts and they know what they are doing. I will definitely rely on them for my future travels, especially for Europe. Spirited Navigators have helped me plan many vacations! When I have a place in mind, I always ask for their input on where to stay, what to eat, and major sights to visit. When I know I need a vacation, but can't decide where, Spirited Navigators are full of destination ideas. Always willing to share their own experience in a particular city or country, or help you with research if they haven't been there themselves. Spirited Navigators have also given me great ideas on how to have a enjoyable budget friendly trip. They are always the first I consult with when planning a trip. Spirited Navigators are ALWAYS my go to for questions on anything travel related - from what should I bring, how should I pack my stuff - to where should I eat and what are the must sees at any destination. You can truly feel the love that they have for ANYTHING travel related (even if it is what shoes you should wear). It makes picking a vacation spot much more comfortable, especially for a homebody like me. Any question isn't too big or to small for them, they are amazing on all their advice and recommendations. I would never go anywhere without talking it over with Spirited Navigators first. I am soo glad to have met Spirited Navigators since they are definitely my number one go to people when it comes to travel. 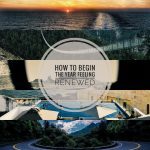 A while back I was planning a trip to the Caribbeans and I just wasn't sure where to start, so I decided to ask Spirited Navigators and I am glad I did. Not only were they able to provide me with a good deal, they also advised me on what to bring and what to expect at some of these locations. To me its always best to ask someone who has been there and who has done it, truly Spirited Navigators have the knowledge and experience of traveling. If you want a great deal! Ask Spirited Navigators! Nicely done, very attentive and knowledgeable. I need to fly more often now and certainly will use them again. I love to travel and thoroughly enjoy researching and planning before all my trips. No detail is too small for me. Even so, since 2009, there is not a single trip that I have planned without asking Spirited Navigators for advice or help in finding the best deals on flights or top must see places. Not only are they passionate about traveling themselves, they are equally enthusiastic about encouraging others to find their inner wanderlust. Spirited Navigators is extremely knowledgeable and anything that they are not 100% sure about - they go out of their way to research, reads lots of reviews, or seeks advice from other travelers in their network so that you don't have to. Spirited Navigators makes planning any trip easy and pleasurable. They are my top choice every time! I became a wanderlust after my UCLA study abroad program and since has traveled to over 40 countries, 6 continents. With that said, there's no one else that I would thoroughly enjoy sharing every single one of those places with than Spirited Navigators. Their desire and passion to explore the world goes hand in hand with their skill to create amazing itineraries that will leave you with priceless memories. Their recommendations are on point from what to pack, what to see, and especially where to eat! There is no travel obstacle they can't overcome and that's why Spirited Navigators is ALWAYS my go to travel guide! To know Spirited Navigators is to truly understand one's love and passion for travel. 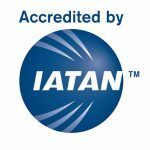 They are easily the best people to go to with any travel related questions/ideas/opinions. I cannot remember the number of times I've gone to Spirited Navigators for suggestions and tips regarding anything to do with travel, whether it's logistical or even a simple "what kind of clothes to take" question. They are knowledgable, helpful and always willing to make things a little simpler for people like me who wish we could travel more. Thank you Spirited Navigators, I'm always living vicariously through you! Spirited Navigators is the go-to place when deciding what to do when traveling abroad. I had done a study-abroad program with my school this past month in England, and was going to travel around Italy for 8 days afterwards. Since this was my first time traveling without my family, I was very nervous and stressed on planning and embarking on this journey. I came to Spirited Navigators for advice on what to do, and I received so much more than that. They gave me a full detailed itinerary that I took EVERYWHERE with me. With their help, as a first-time traveler, I was able to see 6 cities in 8 days without hesitation. From where to eat, what to see and what to do... they told me everything in detail up to the bus number and what routes to take. They will do all the research for you to make sure you are at ease on your vacation! I would definitely recommend planning your next trip with Spirited Navigators. 10/10!!! Spirited Navigators make going on vacation a breeze. Their thorough and meticulous research when planning tours make for an enjoyable and interactive vacationing experience. They have always updated and shared with me important infomation, sent friendly reminders, offered budget-friendly options, and given me tips on travel safety. 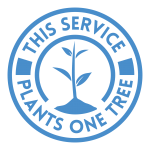 I really appreciate how understanding they are of individual needs, requirements, and interests, and they aim to please their guests. I have never felt pressured by them, and they have always been respectful of their guests. I always have difficulty finding the right travel buddy, and Spirited Navigators has introduced me to some of the most amazing people who were a joy to travel with. When you travel with Spirited Navigators, you travel with peace of mind, you travel safely, and you embark on a new adventure. Can't recommend them enough! Where do I start about the passion that Spirited Navigators have for traveling? Or the passion with which they helps ANYONE out who reaches out about their upcoming trips. From scoring the best airfare to getting the hotels in the center of wherever your travels take you to what to see and where to to eat, they have it all covered. Don't hesitate to reach out and ask any and all questions you have regarding your upcoming trip!!!! 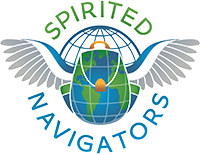 Spirited Navigators have been my go-to for all travel related matters. I enjoy traveling but don't like planning. Spirited Navigators have helped me with travel itineraries from beginning to end. They ask the right questions and always have fun suggestions and ideas. This past summer my husband and I only had 2-3 days in Paris. Spirited Navigators planned everything out for us in the most efficient way possible, including places to eat, how to get from place to place, free tours, even good picture spots. I carried around their itinerary the entire time and referred to it constantly. They have a true passion for traveling and is my only source for everything travel. I wanted to surprise my wife with a trip to Italy for her birthday! Feeling completely overwhelmed and lost that I wouldn't get the best prices on flights and hotels I reached out to Spirited Navigators. They monitored flight prices and the hotel rates and got us some amazing deals! They put together a complete itinerary for our trip from soup to nuts! It made the experience that much more amazing! Needless to say we just returned from our trip to Rome. It was one of the best vacations we have ever been on! Spirited Navigators made it affordable and manageable for us to go on a bucket list vacation and we cannot thank them enough! Spirited Navigators make going on vacation a breeze. Their thorough and meticulous research when planning tours make for an enjoyable and interactive vacationing experience. They have always updated and shared with me important infomation, sent friendly reminders, offered budget-friendly options, and given me tips on travel safety. When I think of travel, I think of Spirited Navigators! Over the years, they have inspired me to seize any travel opportunities that come my way. 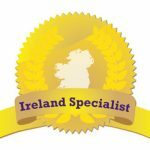 I recently traveled to Ireland and Iceland and Spirited Navigators created a detailed and comprehensive itinerary for our 10-day trip, outlining not only the classic to-do's, but also the hidden gems as well. Their recommendations were so valuable and made me feel at ease, especially since I was traveling without my family for the first time. I continue to rely on Spirited Navigators' insight for even the smallest trips and in doing so, I feel 100% confident that I'm making the most out of my time. Their vast knowledge of travel, domestic and international, has no limits and I could not recommend Spirited Navigators enough! When we were planning a family vacation to Cancun , I knew I had to contact Spirited Navigators to help me sort through the numerous options. Looking online on your own is so time consuming and so many hotels have sponsored posts and reviews it's impossible to know what is a good hotel option. They gave me a great list of options and even gave me a separate list in case the first ones were sold out. They gave me insider tips on booking my trip and very quick to respond. I wasn't exactly sure on the budget so it was great that they told me a realistic price to pay even during spring break (high season). I will definitely contact them again the next time I travel. Thank you Spirited Navigators!! 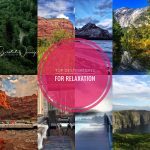 Join Our VIP Travel Newsletter!